17 year old apprentice jockey Daire Davis is a young man destined for the top. So early on in his career in the saddle he has already caught the eye of numerous shrewd judges, evidently, he has talent in the saddle, with normal improvement anticipated Davis has the capabilities of going far. 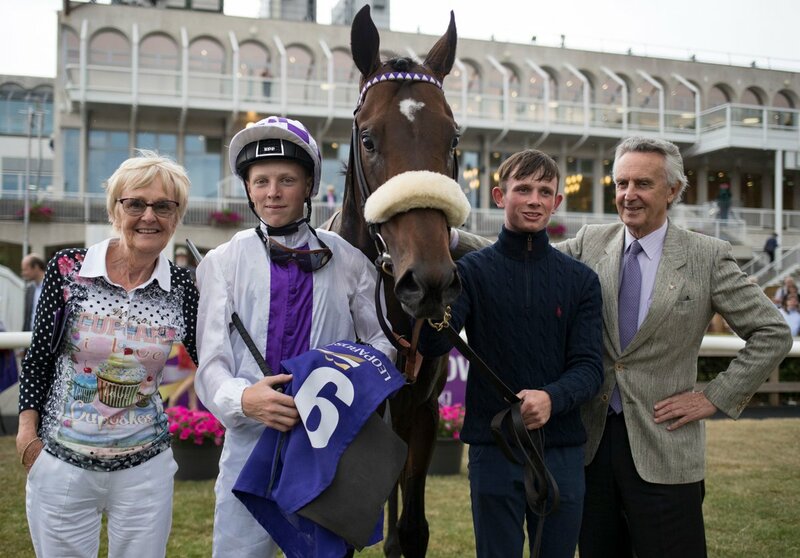 Ambitious Davis is presently based with trainer legendary trainer Jim Bolger, unquestionably being grounded with Bolger gives him an enormous head-start in becoming the finished article. Davis is eager to learn and listen. You will be hearing much more about this young apprentice in the forthcoming months. We exclusively caught up with Daire, to learn about his past and aims for the future, alongside everything in between. I’m seventeen years of age I was born in Maynooth, Co. Kildare. I always loved horse racing however, I played hurling and soccer for years before I got in racing properly. I’m the youngest of three children. My brother Sean worked for a local farmer Sean Mahon, ten minutes down the road from our house. The farmer had a couple of point to pointers and ponies he got my brother riding away on them. My brother used to bring me down on the weekend to give him a hand when Sean went to race he sent me down to work for Sean. I learned a lot down there he bought me my first pony and Sean used to come down the weekend and teach me a lot about riding, I done lots of hunting as well. The Mahon family where great help if it’s wasn’t for them I would never of picked this industry. I had twenty rides pony racing but never had any luck. How did you get into Jim Bolger’s yard? My brother spoke to Ronan Whelan about if he could get me in to Jim’s for three weeks for a bit of experience before I headed off to race in the Curragh. Ronan got me in and has taught me so much, since then I have ended up staying in Jim’s instead going to RACE which I am very happy, as I have already learned so much. The boss (Jim Bolger) has been very good to me with giving me seven rides, which I have won on one. What was your first victory like? I couldn’t put in to words the feeling I had riding my first winner, I was speechless when I came back in to the winners’ enclosures. Honestly there is no better feeling, it didn’t really kick in until that night, I couldn’t sleep I was that excited. By the end of this year I would like to get down to my 7lb claim, and hopefully get my name out there further for the following season. What is your favourite racetrack? My favourite racecourse must be Leopardstown, not only because I rode my first winner there, I always loved the track, and how it rides. I think the uphill finish is great it’s very testing, it takes a good horse to come up on front. Who is your role models? The two jockeys that I look up to have to be Ronan Whelan and Oisin Murphy. If I became half as good a jockey as them I would be more than happy. I think Ronan is an outstanding rider, I love to watch him he is so strong and makes things look easy he is very stylish he is also very good to me and fellow apprentices in the yard, he teaches us a lot. Also, what Oisin Murphy has achieved in that last couple of years at such a young age is incredible, he is a brilliant rider. My brother Sean is very helpful to me, he always keeps me on my toes and talks me through my rides, he teaches me a lot. Give us a few horses to watch out for? 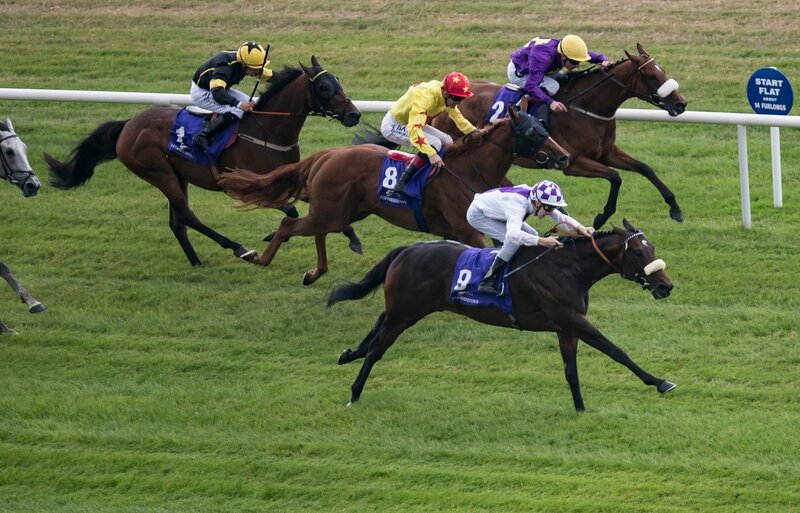 I think two horses to look out for this year is our two year old Cruciatus, who won his maiden at the Curragh recently, he is a colt that is improving all the time. The other horse to look out for is our other two year old Bold Approach, who also won a Curragh maiden first time out, he was second in a group 3 second time out, he is improving and will make a fine horse. How do you relax outside racing? In my spare time I like to go fishing, it’s something I have done since a child and find it a good way to relax and clear your head. Also like to go home to my family and chill out and watch a movie when I get the chance. 🏆The #3Furlongsout Punters club is now officially launched. 🖥Join our fun filled club, that is sure to keep you in profit all year long.